Australia’s Bureau of Meteorology said Cyclone Trevor, with sustained winds of 125 miles per hour (200 kph) and gusts of up to 160 mph (255 kph), was expected to bring heavy rainfall and a dangerous storm surge. Bureau of Meteorology spokesman Todd Smith said a further intensification has not been ruled out. Flash flooding was likely, with heavy rains of up to 8 inches (20 centimeters) in a day set to fall on ground “hard-baked” by drought, Smith said. Almost 1,000 people had left the towns of Groote Eylandt and nearby Numbulwar by late Thursday, Gunner said. Most of Borroloola’s 900 residents were expected to be evacuated, along with several smaller communities. Most would be housed in temporary accommodations in Darwin, he said. It’s the largest pre-cyclone evacuation in Northern Territory history, and the largest cyclone-related exodus since Cyclone Tracy hit Darwin in 1974, killing 71 people and forcing 30,000 to flee the city. 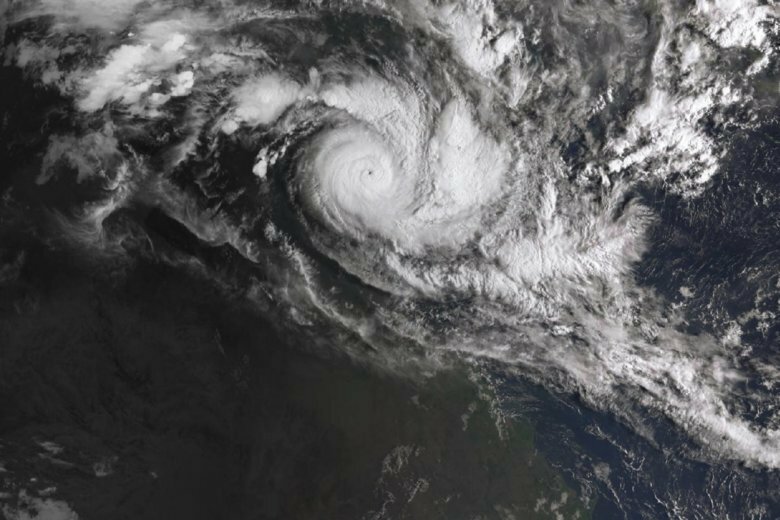 Meanwhile, another powerful category 4 cyclone was bearing down on the other side of Australia’s northern rim. “While it is possible the cyclone may weaken before reaching the Pilbara coast, a severe impact is likely,” the Bureau of Meteorology said in a statement.